H.E. 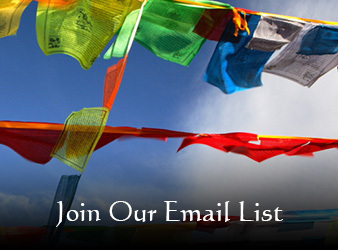 Dza Kilung Tulku Jigme Rinpoche is the fifth reincarnation of H.H. Jigme Ngotsar Gyatso, the enlightened yogi who built Kilung Monastery in the 18th century. Jigme Ngotsar was important in his lineage line: he was one of the renowned “Four Jigmes,” principal disciples of Rigdzin Jigme Lingpa, the most important Nyingma teacher of the last 600 years. Rigdzin Jigme Lingpa sent Jigme Ngotsar back to his home territory of Dzachuka to build a monastery. With the patronage of the King of Derge, Jigme Ngotsar, as the royal family’s chief spiritual advisor and lama, raised a great monastery. This included a main temple (still standing), thriving monastic college with several hundred monks, separate center for long-term retreat, and a nearby nunnery. 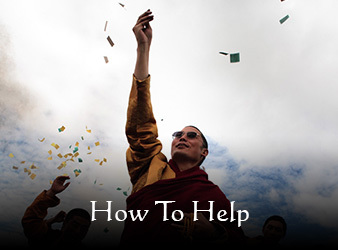 The present Kilung Rinpoche, also known as Kyabje Jigme Tendzin Chodrak, is the head of Kilung Monastery, and has been reestablishing it as a center of learning and practice since he was a teenager. Since 1998, this work has been supported by the Kilung Foundation, an American non-profit organization that he began with the prompting of western friends. As well as the importance of rebuilding the monastery, Rinpoche sees the reinvigoration of traditional Tibetan culture as integral to the continuation of Tibetan Buddhism, and vice versa. Therefore, he has also undertaken humanitarian projects that benefit the community and culture, including a bridge for nomads and their animals, primary education for nomad children, a health clinic, and disaster relief. Born in 1970, Rinpoche was discovered as a tulku in his youth. There had been signs that he was a reincarnated lama before, during and after his birth, but because of tumultuous times, all such information was kept secret. He was later recognized by a series of lamas, and confirmed to be the reincarnation of H.H. Jigme Ngotsar Gyatso. These lamas include H.H. Dilgo Khyentse Rinpoche, H.H. Minling Trichen Rinpoche, H.H. Dodrupchen Rinpoche, and H.E. Dzogchen Rinpoche. As a young teenager, Kilung Rinpoche completed a three-year retreat in secret with his first teacher, Venerable Kyab-lo, of Dzagya Monastery. In his later teens, Rinpoche was able, with his father and other relatives, to recover Kilung Monastery from Chinese cadres. This joyful recovery was the cause for the return of the former Kilung tribe, and for young people to join the monastery, a beginning in reviving the monastery and in a greater sense, the entire community. Then Rinpoche, at the age of 17, took over the running of the monastery. He went to work traveling the country gathering religious artifacts: statues, paintings, 1,000 brocade thangkhas, sacred texts, lama dance costumes and masks. He revived sacred dance there, and also helped a group of nuns rebuild Kilung nunnery in the next valley. In 1993, Rinpoche left home on pilgrimage. Intending to be gone less than a year, it became a seven-year adventure. It was on this journey that he began developing the Kilung Foundation. In 1998 he traveled to America, where the Foundation was officially created in Seattle. That year he also began to teach Buddhism to westerners. Since 1999, Rinpoche has divided his time between Tibet and the West. 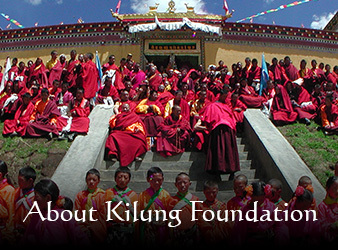 While maintaining his presence at Kilung Monastery in Dzachuka, his western home base is on Whidbey Island, Washington. In addition to teaching around the United States, he has taught in Argentina, Brazil, China, Denmark, Malaysia, Singapore, and Taiwan. In November, 2015, Dza Kilung Rinpoche’s first book, The Relaxed Mind, a Seven-Step Method for Deepening Meditation Practice was published by Shambhala Publications.